Today's feast of St. Mary Magdalene is of special importance to the Order of Preachers because she is our principle patroness along with St. Catherine of Alexandria. 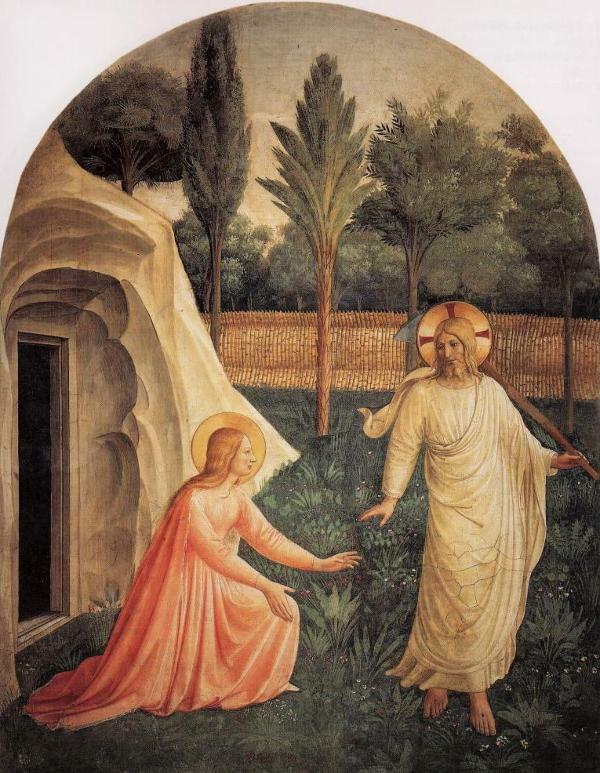 St. Mary Magdalene was the first to preach the good news of the Resurrection to the Apostles--the Apostle to the Apostles! For the nuns her feast is extra special because her feast commemorates the "Seignadou"--the Sign of God. In 1206 St. Dominic was in Southern France, in Prouilhe, alone, working to bring back the Albigensians to the Catholic Faith. A group of women converts along with a few Catholic women were under his care and he needed to find a place for them to establish a monastery. For three nights culminating on the feast of St. Mary Magdalene, as St. Dominic prayed on a hillside, a ball of fire appeared and seemed to be resting on the crumbling church of Notre Dame de Prouilhe in the valley below. For St. Dominic this was the Sign of God for the first monastery of Nuns! In our monastery it has always been the tradition that the novices cook on this day and provide a special feast day for the Professed Sisters. Depending on who is in the novitiate and the number of Sisters this can be something simple, crazy or elaborate! It's probably the heat because the novitiate confessed having a hard time coming up with a theme and what to make. At the last minute it became a faux Jersey Shore theme! After Compline last night the big umbrella and folding chairs appeared in the community room. The menu was posted: "Breakfast on the Beach...or is that the Shore? "; "Dinner at the Yacht Club"; "Boardwalk Snack" with the reminder that "If you can't go to the Shore...PRETEND"! The Professed Sisters had a delightful and relaxing day enjoying all the good things the novitiate Sisters did for them and watched a movie on St. Joseph. It's almost as nice as going to the beach...almost! Sr. Mary Elizabeth, Sr. Mary Catharine and Sr. Mary Amata enjoy the homemade ice cream. Behind the scenes--Sr. Veronica puts the dishes away. Sr. Maria Teresa helps Sr. Mary Elizabeth with her ice cream sundae. "Whatcha ya doing?" Sr. Mary Martin and Sr. Mary John come out to the cloister to check out the grilled kabobs.